Let's make apple cheesecake churro bars! First, place (2) 8 oz. cream cheeses in a bowl. Add 1 tsp. of vanilla, 1 egg, and 1/2 cup of sugar. Blend until smooth. In a separate bowl, add another 1/2 cup of sugar and 2 Tbsp. of cinnamon. Mix. Next, spray or oil the inside of a 13" x 9" baking dish. Sprinkle the cinnamon and sugar mix along the bottom of the dish. With 1 can of crescent dough, cover the mix, and spread the filling on top. Then, layer 1 can of Lucky Leaf Premium Apple on top of the dough. Use an additional can of crescent dough to top off the dish. Sprinkle the remaining cinnamon and sugar mixture on the upper layer of dough. Bake the dish at 350 degrees Fahrenheit for 30 minutes. When it's done, cut a slice, grab a fork, and enjoy! Need a new, deliciously sweet recipe to try? We recommend baking apple cheesecake churro bars with Lucky Leaf! Watch this video for the full recipe, and in less than an hour, you can have a delectable new dessert to add to your menu! Russell Davis from Bar Rescue explains the importance of ice in a cocktail. 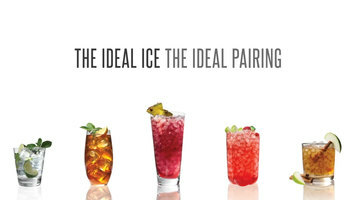 Learn about the different types of ice and the part Scotsman ice machines play in making ideal ice for your cocktails. 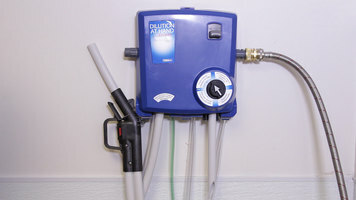 Watch this informative video on how to install a dilution at hand chemical dispensing system! With step by step instructions, you'll have no trouble getting your unit set up and running. This video explains Cambro's color coded box system. Sizes and colors of boxes are reviewed, as well as how these products can help you protect against cross-contamination.